Asheville area jazz fans know Michael Jefry Stevens. Modern Jazz fans across America and in Europe also know Michael and his music. When not traveling the globe, Michael makes his home in Black Mountain NC and delights in putting together a variety of jazz performances. For his Electric Jazz Band, Michael has assembled an amazing cast of players whose creative energy on stage is on par with any electric jazz unit .....anywhere in America. 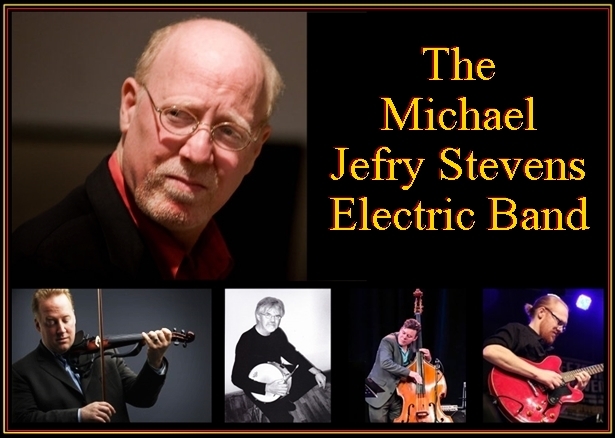 The Michael Jefry Stevens Electric Band focuses on original Michael's original compositions. Inspired by Weather Report, Chic Corea’s “Return to Forever”, John Mclaughlin’ “Mahavishnu Orchestra", Miles Davis and other contemporary jazz, the ensembles music is a synthesis of through composed music and collective free improvisation. Each member of the group has a large degree of freedom to take the music into any direction they feel at any particular moment. The skill and attentiveness of the individual performers work together to create amazing musicality and cohesion at each and every performance. Over the past 40 years Pianist/Composer Michael Jefry Stevens has been associated with some of the most important figures in modern jazz. Beginning with his first CD release in 1991 as a member of Mark Whitecage's Liquid Time Group, Mr. Stevens has been in the forefront of the NYC and international improvised music scene. 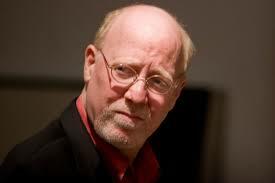 Between 1988-1990 he co-led the now legendary "Mosaic Sextet" with Dave Douglas. Michael Jefry Stevens has composed over 320 works for various ensembles, including big band, string quartet, music for voice, music for solo instruments and various small group compositions. Mr. Stevens was the Margaret Lee Crofts Fellow at "The MacDowell Colony" in the summer of 2000, received 2nd prize in the prestigious Monaco International Jazz Composition in 1998, and was a composer fellow at the Centrum Arts Colony in Port Townsend, WA in June 2005. In 2009 Mr. Stevens was named a “Steinway” Performing Artist (the first ever for the City of Memphis). Michael Jefry Stevens is truly a believer in the global music community and a vocal exponent of an international music. He is a member of the IASJ (International Association of Schools of Jazz), ISIM (International Society of Impovised Music) and the AAPF (Asheville Area Piano forum). 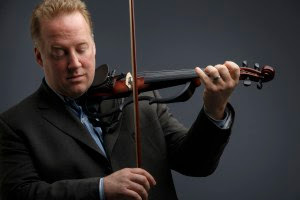 Since 2011, performer, educator and composer, Christian Howes was voted #1 in the Downbeat Critics Poll (“Rising Stars/Violin”), named among the top three jazz violinists in the JazzTimes critics poll, and nominated for Violinist of the Year by the Jazz Journalist Association. His recent release on Resonance Records, “Southern Exposure” earned recognition in the New York Times, Wall Street Journal, Downbeat, Jazz Times, as well as a six-night run at Lincoln Center in April, 2013. He now regularly tours throughout Asia, Europe, and the U.S. as a leader of his own groups and a soloist with orchestras. Howes toured Ukraine in June 2014 at the invitation of the U.S. Embassy, as a cultural ambassador, underscoring U.S. support for a free and democratic Ukraine. Bill is a noted drummer in jazz and fusion music, best known for his work with the group Flim & the BB's. He also served as the drummer for fellow Hibbing, Minnesota native Bob Dylan's notable record Blood on the Tracks. While living in Southern California he performed and recorded with the Wayne Johnson Trio, Bill Perkins, Ernie Watts and the great guitar player, Howard Roberts. 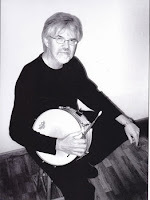 Bill now makes his home in Brevards NC and performs with numerous regional ensembles. 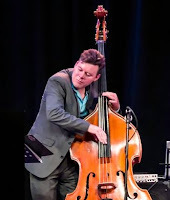 Zack Page has been performing as a professional bassist since the early ‘90s. His work with various jazz ensembles, theater companies and the cruise industry has taken him to all 50 U.S. States, the Caribbean islands, Australia, South America, Europe and the Far East. In a jazz setting, Zack has had the good fortune to play and/or record with Billy Higgins, Marvin Stamm, Eddie Daniels and Babik Reinhardt, the son of gypsy jazz guitarist Django Reinhardt. Following time spent in LA and New York City, Zack relocated to Asheville where he is one of most respected bassists and is in constant demand for performance and studio work. Tim is a 23-year veteran of the guitar and holds degrees from the University of North Carolina Greensboro and Indiana State University. He has worked as a professional performer and music educator in Austin, Texas, and throughout the Midwest for the past fifteen years. Tim is also an active composer, and recorded and produced a CD of original compositions for guitar in 2009. 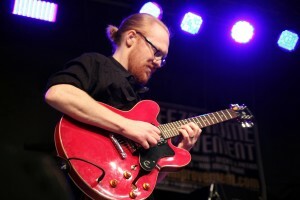 As an educator, Tim has worked as a private guitar instructor and served as the director of the Terre Haute Guitar Club, a group guitar program based on his work with Robert Fripp, Guitar Craft , and Guitar Circles. Tim also developed and directed the summer Jazz camps and the annual resident Rock Camp for the ISU Community School of the Arts. Tim has also served as a bandleader and member of several local and touring groups, including The Leonard Washingtons and Lunes Domingo.